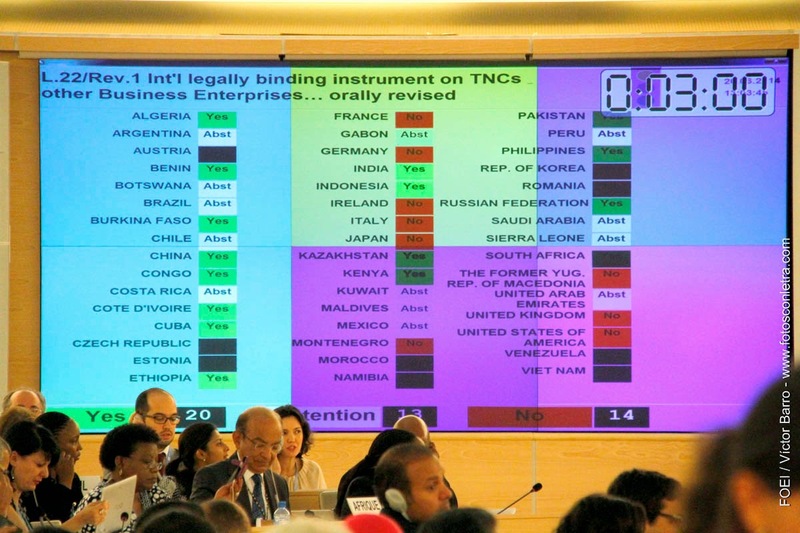 Advocacy efforts of the ESCR-Net Corporate Accountability Working Group and partners in the Treaty Alliance helped to secure a UN resolution to develop an international treaty for addressing corporate violations of human rights (press release). ESCR-Net, via members of the Economic Policy Working Group, helped to launch Bank on Human Rights, a global coalition of social movements and civil society organizations working to ensure that all development finance institutions respect, protect, and fulfill human rights, including via a recent action engaging the World Bank Safeguard Review. 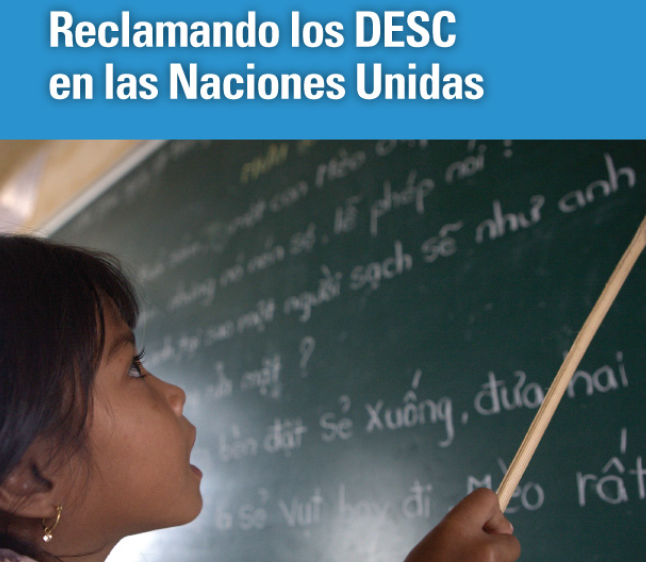 The ESCR-Net Strategic Litigation Working Group launched the Spanish-language version of its new guide "Claiming ESCR at the United Nations: a manual on utilizing the OP-ICESCR in strategic litigation." The ESCR-Net Secretariat welcomes Susie Talbot as Senior Legal Officer and promotes Thea Gelbspan to Membership and Solidarity Coordinator, with responsibility for coordinating the Social Movement Working Group, the System of Solidarity (SOS) and Member outreach and engagement.